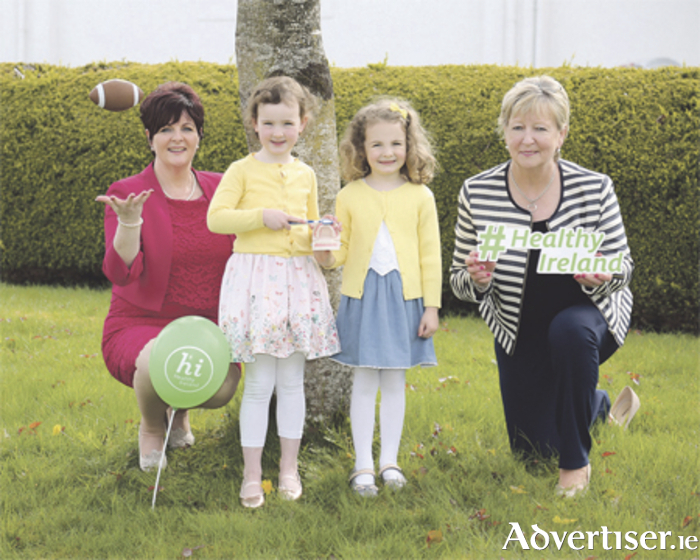 More than seven pre-school services in Westmeath received their Healthy Ireland status recently at an awards ceremony celebrating the second annual Healthy Ireland Smart Start Awards, held in Athlone Institute of Technology. The ceremony hosted more than 230 childcare and early education professionals representing 103 pre-school providers from 23 counties. They recognise pre-schools across Ireland who have participated and achieved Healthy Ireland status. County Westmeath early childcare providers now have a total of 18 Smart Start Awards, including the 11 awards received in 2016. This year, 219 pre-school services received their Healthy Ireland Award from the Health Service Executive (HSE ). There are more than 300 additional pre-school services currently undergoing training to deliver the programme. The seven pre-school services who were awarded Healthy Ireland status in Westmeath are: Ballymore Community Childcare; Réalta Geal Montessori School, Coosan, Athlone; Step by Step in Mullingar; Stepping Stones Early Learning Centre, Ballinahown; Sundancers Castlepollard; Woodhill Montessori School Moate; and Woodlawn Montessori & Playschool Kilbeggan. The programme is open to all pre-school providers, private or community, sessional or full day care, regardless of size or location. Registered childminders are also welcome to participate in the training. A pre-school provider can retain the Healthy Ireland Smart Start award for three years by implementing the programme throughout their daily curriculum and upon completing an assessment process. For more information about the programme visit www.ncn.ie or telephone (047 ) 72469.